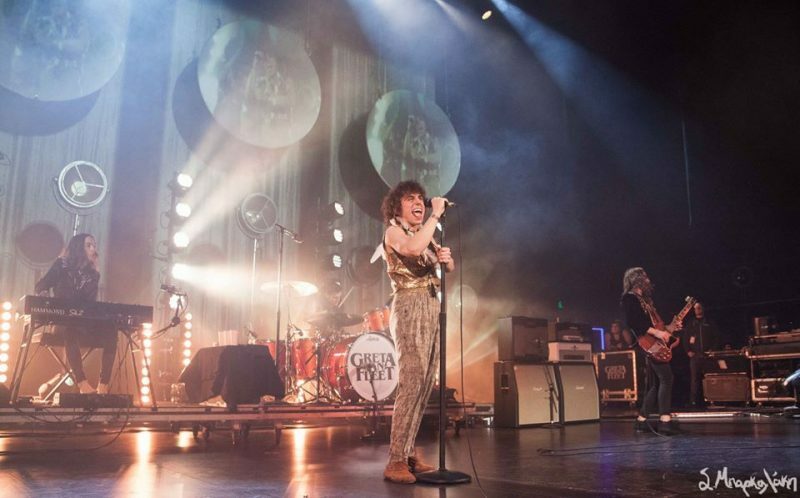 It was a night many Greta Van Fleet fans had been looking forward to, especially the ones that had tickets to the second night in Seattle back in October of 2018 when the band had to cancel. 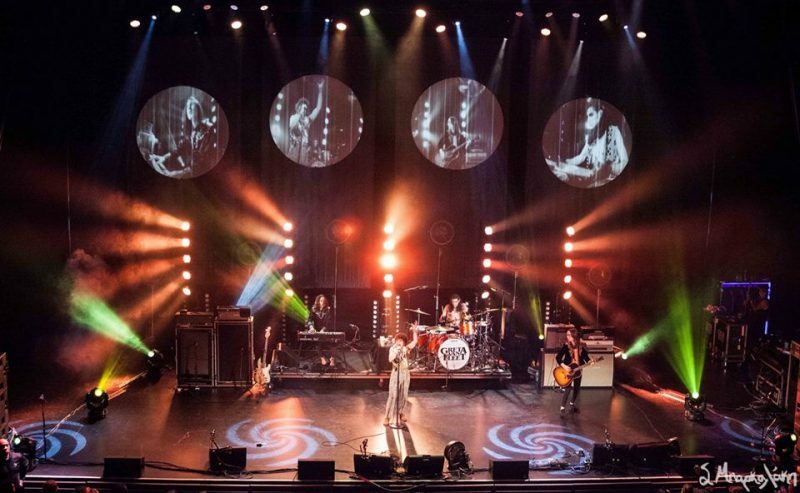 It was more than alright though, as they rescheduled two additional nights at the Paramount as a rockin’ way to kick off the new year with a bang. Their critically acclaimed debut, Anthem of the Peaceful Army, was also released in the meantime, so there was plenty of time to learn all of the lyrics for the new show. The rock band who has been under fire from many media outlets for resembling Led Zeppelin a bit much has not let that slow them down one bit, even receiving a few Grammy nominations. LZ frontman Robert Plant has even cited them as one of his favorite up-and-coming bands so I don’t think he minds all that much. The truth is that most of us are influenced by someone in life and sometimes we directly resemble them and sometimes we don’t even realize we have done so. The fact that when a new artist comes out and we immediately have to compare them to someone else does not help this but at the same time we like to categorize everything in life. Excited fans stood in the pit patiently waiting for the stars to take the stage and a little past nine the four-piece from Michigan appeared. 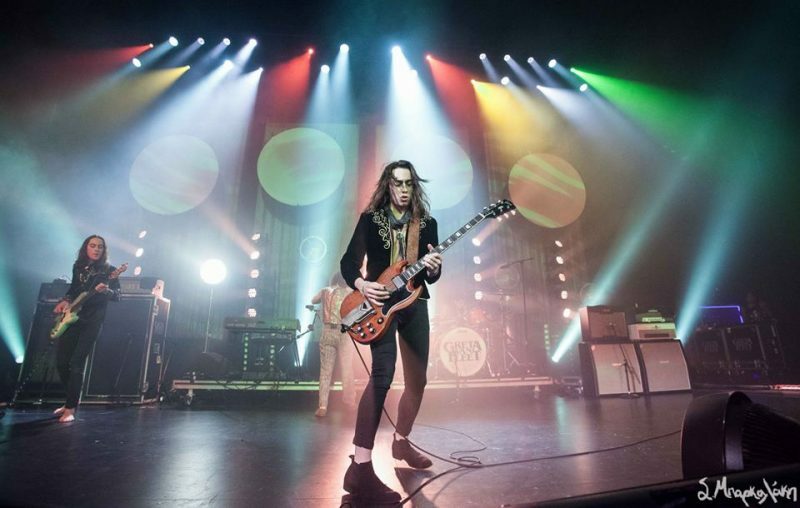 Vocalist Josh Kiszka stood in the middle, guitarist Jake Kiszka to his left, bassist Sam Kiszka to his right, and drummer Danny Wagner was elevated behind them. The night started big with an explosive intro as “Highway Tune” intensely began, and Josh’s powerful voice filled the room. If you close your eyes you might actually think it’s a young Robert Plant singing and it’s incredible. They are all dressed to fit the part as well, sometimes you wonder what year it is when you look at each one that is probably spending most of their time at a vintage shop. It fits in with their music style completely and it actually matches the mood they are projecting at the concert. The song list was short if you just looked at it but this did not dictate a short show at all. The long intros intertwined with amazing long solos made the night extremely enjoyable and fans could not get enough of it. 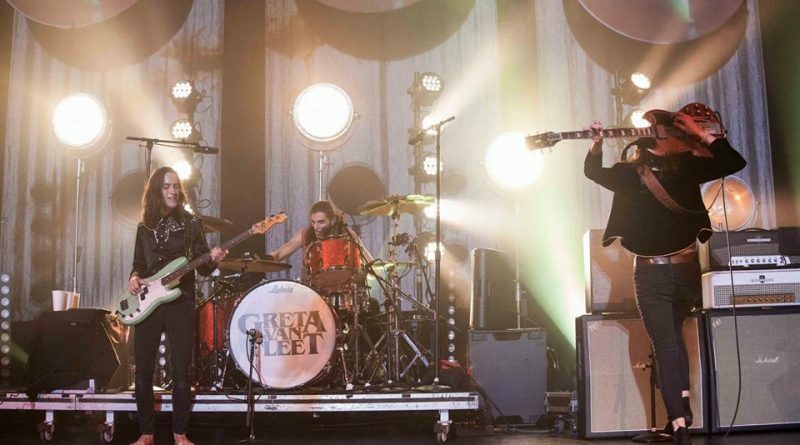 Jake would get lost in playing his guitar and Sam pounded on his bass as he walked around barefoot. The whole production including their lighting design was something worth experiencing and it all tied perfectly into the experience of the performance. This is very much a show worth going to and if you’re a big rock fan you will not be disappointed – as long as you give them a shot. 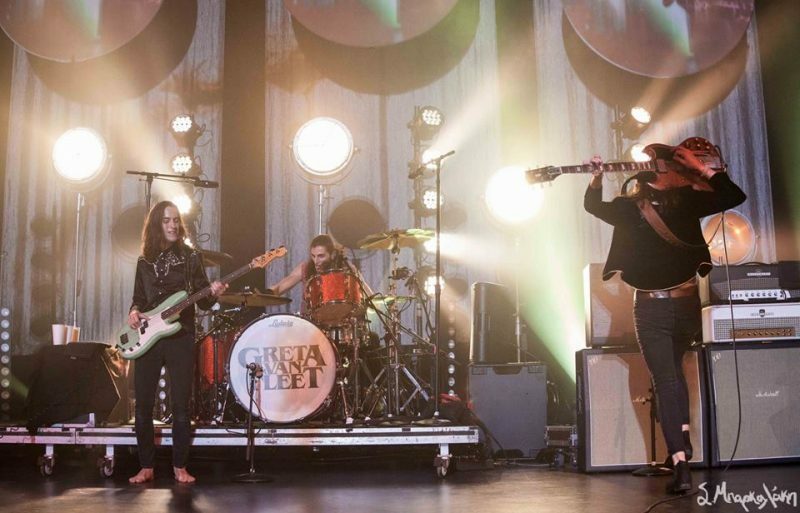 Highlights included, “Black Smoke Rising” and “Safari Song,” which ended the high energy night. These guys have a lot to give and we’re hoping it’s only going to get better with time. Music is probably the most important part of her life. Sophia is constantly searching for new material, old and new. Always looking forward to the next live show she can attend, ready to immerse herself in the sound. 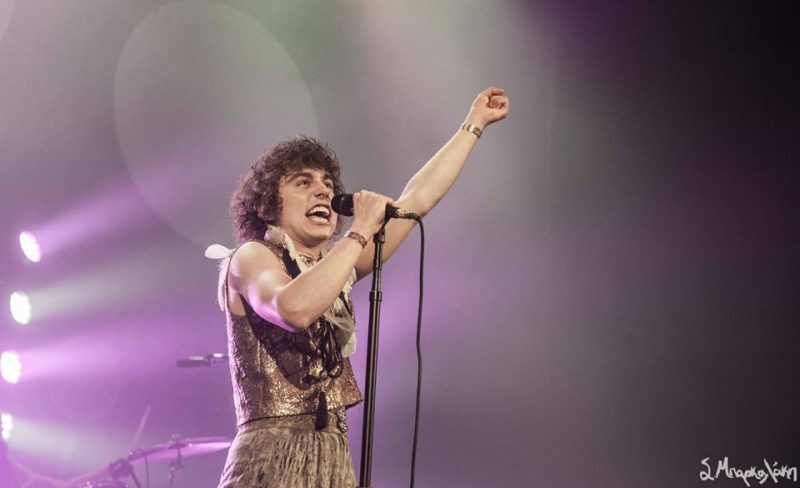 "There is something so magical about attending a live show that you cannot possibly feel from a recording itself that makes it worth going to", she says. She also says she's lucky to be able to combine her passion for music with her obsession of capturing moments. She finds that being able to look at a photograph and be transported to that second of your life is indescribable and she's so grateful for all those great moments.